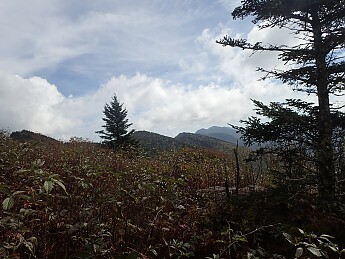 On September 25 a friend and I set out to hike the Black Mountain Crest Trail from Bowlens Creek to Mt Mitchell State Park Campground. I guess the keyword for this particular foray would have to be "underestimate"! 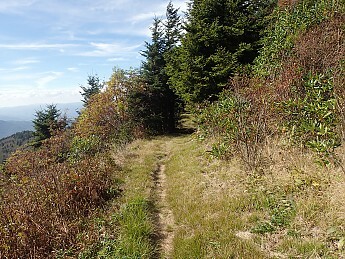 This trail starts of with a long steep grade up to the ridge. 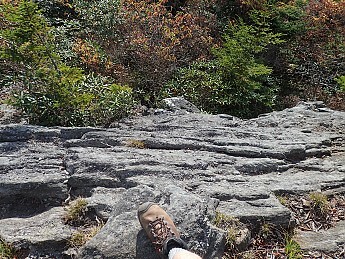 Then it gets rough and rocky with a considerable amount of scrambling. The views along Bowlens Creek and up on the Crest are exceptional. 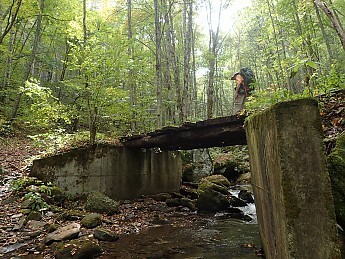 Early on there is a bridge where the timbers have rotted and it is a little sketchy. My friend Stanley is negotiating the bridge across Bowlens Creek. This is what it looks like on top. I wish my yard looked like this! As I mentioned earlier, the trail is steep. The profile looks like this. Bowlens Creek is quite scenic. 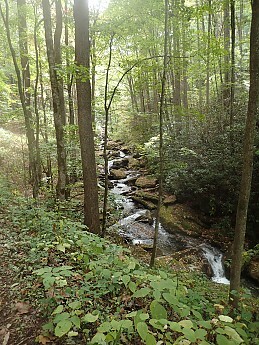 As we got higher, we passed a few excellent springs. The water is coming out of the ground right on the side of the hill. Very clear, very cool, and just in time. 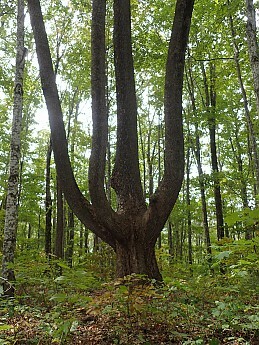 On the way up we encountered this interesting tree. Once you get on top you might think you have it whipped, but then there is the scrambling. That is what slowed us down considerably. 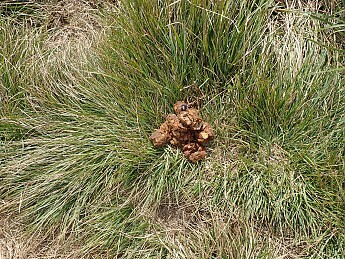 Watch out, there is frequent bear activity up here! 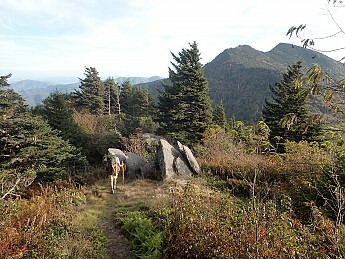 The trail runs close to the ridge and sometimes actually on it. 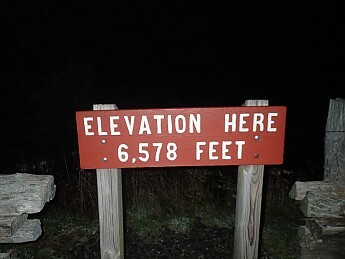 At over 6000' elevation this means you have great views. There are some exposed ridges like this. It's a good idea to pay attention here. 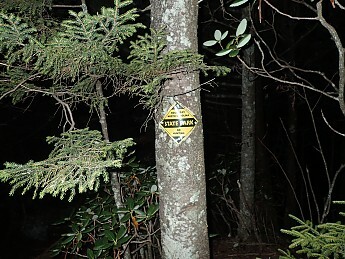 It is obvious here that the hiker needs to pay attention to where they are walking! 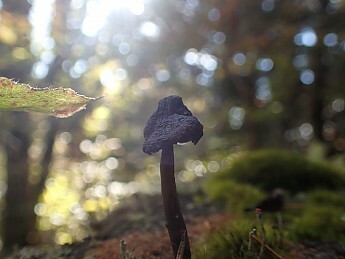 Up here, small things are interesting too. Big views up here, everywhere! Getting late and we are still on the Crest. Should have started earlier. Thinking we are on the "home stretch" this comes up! Finally in the park! From here it is about another 1.5 miles to the campground. By the way this is highest campground east of the Mississippi. That's one steep climb! Nice shots. 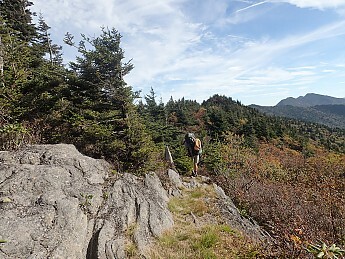 This hike has a reputation of being difficult. I highly recommend it if you are looking for well earned views and sore thighs! I've been eyeing that route for years, thanks so much for sharing. This post must be "Locals Only", because the only clue to where the *! @# trail is located is "East of the Mississippi". Something a little more specific would be nice. Which state is it in? What major city is it near? Pro-tip: Yes, we all could easily highlight, right-click-to-google the park's name but not having to do that within the first sentence makes it easier on your readers. 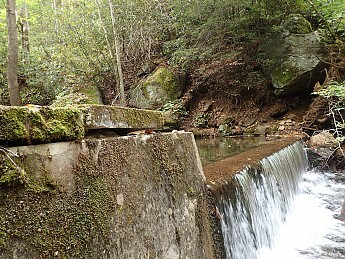 Answer: North Carolina near Asheville which is near Charlotte. 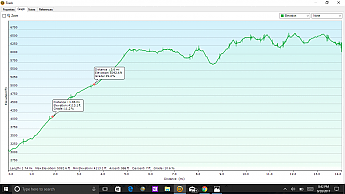 That is a long ascent. 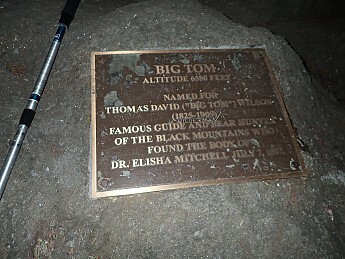 I hiked it this past May. The overlook areas had superb views. If you hike past Mt. Mitchell, there is a state restaurant for lunch or dinner. 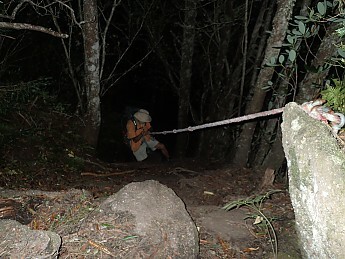 It is also possible to connect to other trails to make it a nice multi-day trek. You have a very accurate assessment of the campground population! That is precisely what we experienced. We were the only ones who hiked in. It was very late when we arrived and we most likely woke some people up. Even so, it is worth the trip. If you do not like the idea of the campground, you can camp on the Crest before you enter the state park. 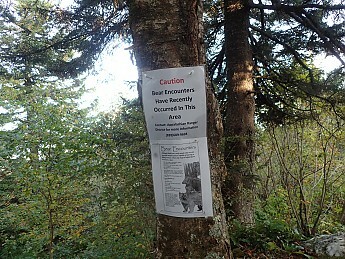 The only caution is that there is frequent bear activity. 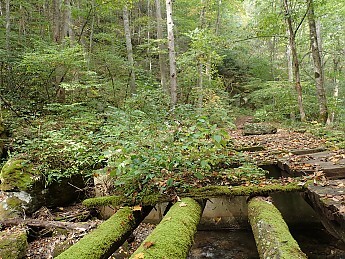 The trail is in NC in the US. 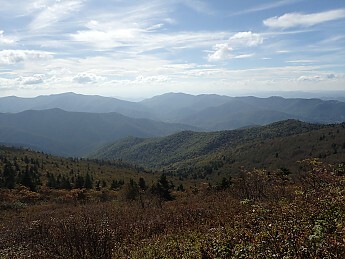 The Appalachians are hiker heaven and this route happens to be the highest east of the Mississippi. 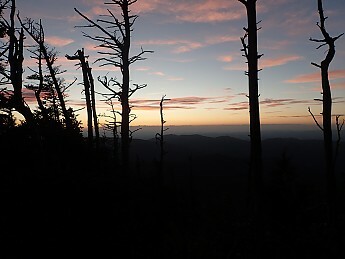 The Campground at Mt Mitchell State Park has the distinction of being the highest Campground east of the Mississippi. Regarding location, one other clue is that the only 6000 foot or higher peaks east of the Mississippi are in only two states: TN and NC. Haven't camped your mountains, but that panorama is my imaginary vision of that area.